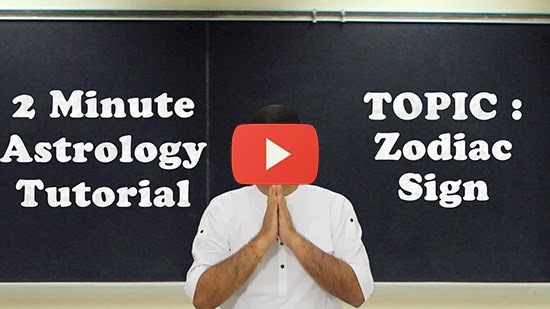 Astrologer Punit Pandey has come up with 5th part of ‘2 Minutes Astrology Tutorial’ series. In the previous part, we learned signification and nature of planets. Today, we will discuss the zodiac signs. 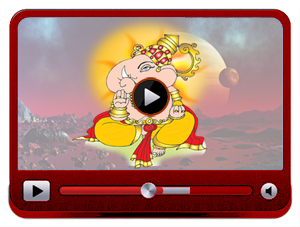 ‘Learn Astrology in 2 Minutes Tutorial’ is available FREE, read further to know more. If you look toward the sky at moment of birth from the place of the birth, the planetary position in sky is called a birth-chart or Kundali. Planets seem to be moving in a circular path when observed from earth. This circular-path is known as zodiac. If we divide zodiac in twelve equal parts, each part is called a zodiac sign. These twelve signs are – Aries, Taurus, Gemini, Cancer, Leo, Virgo, Libra, Scorpio, Sagittarius, Capricorn, Aquarius and Pisces. It’s very important to remember the order of zodiac signs, because signs are shown using numbers in a birth-chart. For example, if 1 is written, it means Aries or first sign. If 2 is written, it means Taurus or second sign and so on. As per mathematics, a circle consists of 360 degrees. Therefore, 12th part of 360 degrees, i.e. a sign, consists of 30 degrees. However, we need not focus on mathematical part as of now. Just note that each zodiac sign covers 30 degrees. Every zodiac sign has a fixed lordship and we should also memorize it. Lord of a sign is also referred as owner sometimes. Let’s have a look at lords of different signs. Mars owns first sign – Aries. Taurus is owned by Venus, Gemini by Mercury, Cancer by Moon, Leo by Sun, Virgo by Mercury–i.e. Mercury is the lord of both Gemini and Virgo–Libra again by Venus, Scorpio by Mars again, Sagittarius by Jupiter, Capricorn and Aquarius by Saturn, and Pisces is owned by Jupiter. Sun and Moon own only one zodiac sign. Rahu and Ketu do not own any of the signs. Rest of the planets, i.e. Mars, Mercury, Jupiter, Venus and Saturn, own two zodiac signs.